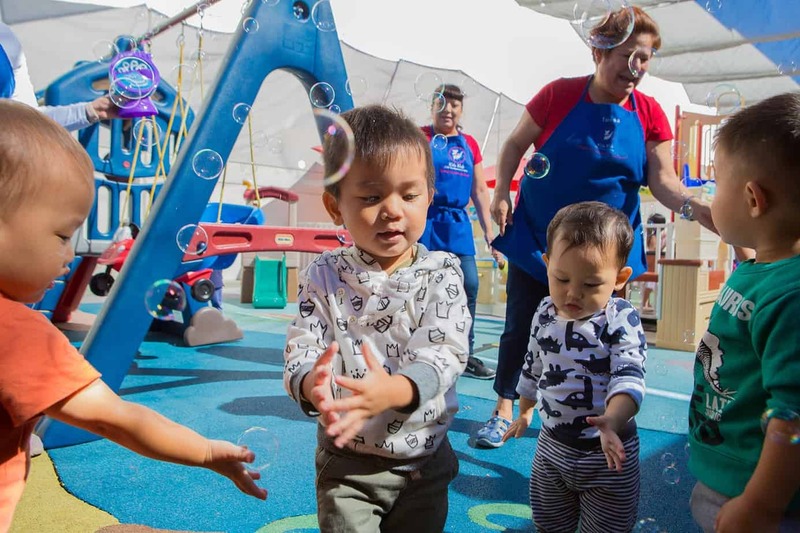 Warm interactions between infants/toddlers and caregivers are the heart and soul of our San Gabriel/Rosemead and Pasadena daycare programs. Nothing is more important to us than creating a place fueled by our staff’s obvious enjoyment, while caring for infants and toddlers. The first two years of life are critical in establishing a strong foundation for future success and happiness. We use a Primary Caregiver System in our Infant & Toddler component where each child has a dedicated caregiver to ensure consistency, security and comfort. Our primary caregivers are able to cue into your child’s individual needs and develop a special bond. This promotes trust for your child and allows for the highest level of partnership and communication between parents and the caregiver. 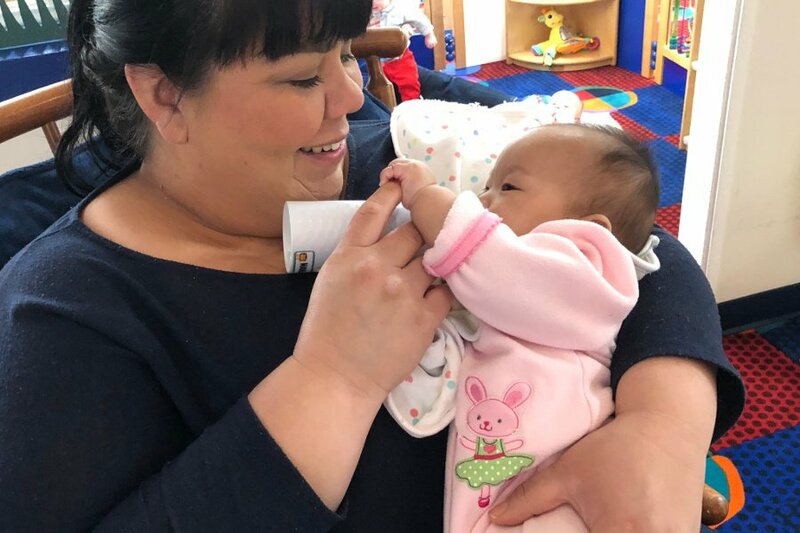 Our infant/toddler component staff is sensitive to the needs of both children and parents; helping with separation anxiety, recording your child’s activities (e.g. feeding, sleeping, diapering, activities, milestones, etc.) during the day, and providing for any other individual needs you or your child may have. 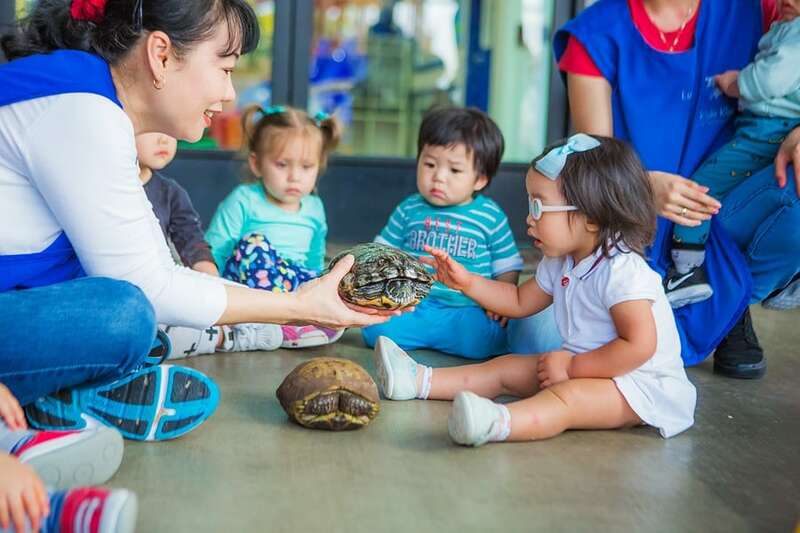 Kids Klub’s infant and toddler curriculum facilitates discovery through hands-on education and active play in order to meet milestones in the four core learning foundations: cognitive, language, social-emotional and physical development. Our skilled caregivers write weekly curriculum tailored to the individual needs and interests of the children in their group—so that it is not only relevant to each child, but each child also learns from one another. With the rapid development that occurs in this age group, children’s interest change quickly. Our teachers are able to create an environment that is continuously stimulating and responsive to each child’s growth. With open-ended questions, descriptive narrative and guidance, our teachers nurture children, while providing the foundations for S.T.E.A.M. education (Science, Technology, Engineering, Arts & Mathematics). We believe that proper nutrition is one of the most important aspects of your infant and toddler’s development. We believe our food program should not only provide children with the nourishment their young bodies need to thrive, but also teach them healthy habits that they can carry with them their entire lives. Kids Klub has put a great deal of effort into creating a food program that meets its own internally high standards. All finger foods/snacks and breakfasts (at the point when your baby eats table food) are included in your monthly tuition. Additionally, Kids Klub offers an optional, full service Infant/Toddler Meal program that has been designed for your convenience and peace of mind. We are extremely proud to meet all the needs of your growing baby at a reasonable monthly price without sacrificing quality or health. As you can see below, we offer high-quality, healthy formulas, baby cereals, baby foods and finger foods/snacks. If there are other formulas or foods that you would prefer to feed your child, you are welcome to bring your own. You may also supplement our meal program by bringing some of your own foods as well. If you choose to provide your child’s food, any bottles must be prepared by you daily, labeled, dated, and brought to Kids Klub. Our caregivers will follow your guidelines with the foods you provide from home. As your baby progresses in dietary variety and starts eating table food, we offer a hot, healthy, homemade, largely organic meal program prepared by our professional chefs. For infants/toddlers 10-16 month old, all snacks on the food menu are replaced by items on the list of Finger Foods/Snacks above. Furthermore, our chef cuts up all table food into smaller, bite-size pieces and children get steamed vegetables, rather than salad. For toddlers 17 months and older, we start incorporating snacks off of the main menu. For more information on Kids Klub’s Food Program and to download menus, please click here. A variety of full-time and part-time programs are available to accommodate most schedules. Moreover, if you need to stay late at work or want a well-deserved parent’s night out, our Evening & Weekend program is there for your child to continue to enjoy all the safety, comfort, education and fun that Kids Klub has to offer.